This entry was posted in Photography and tagged Adelaide, Adelaide Street Photography, black & white, City, Lightroom, Monochrome, People, Photography, Silver FX Pro, South Australia, Street Photography. Bookmark the permalink. Really nice. I love the red dress. 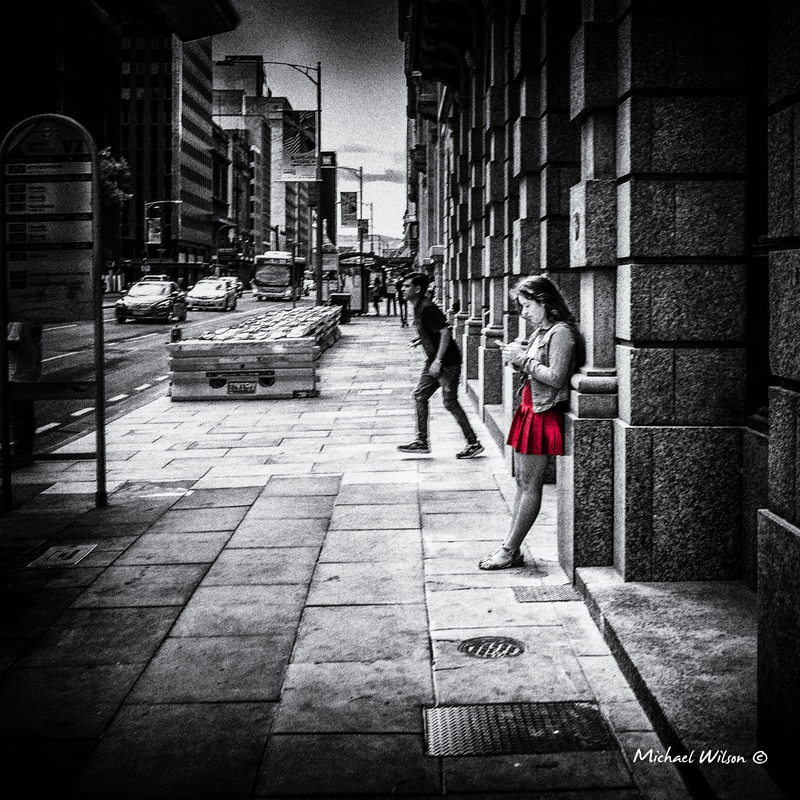 Wonderful selective color – red – yes!